The National Disability Rights Network works in Washington, DC on behalf of the Protection and Advocacy Systems (P&As) and Client Assistance Programs (CAPs), the nation’s largest providers of legal advocacy services for people with disabilities. 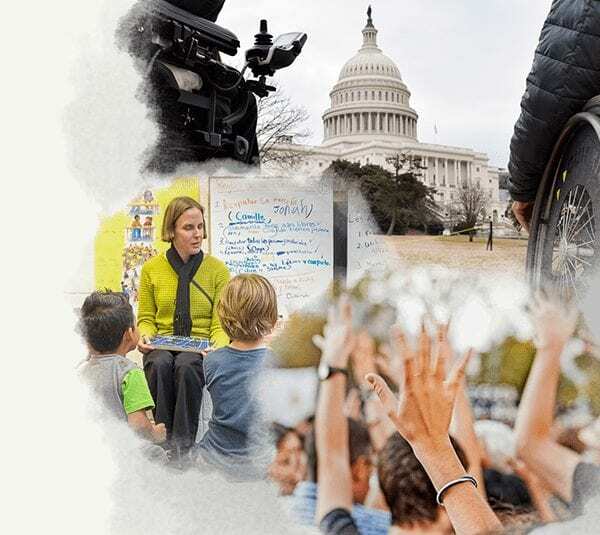 NDRN promotes the network’s capacity, ensures that P&As/CAPs remain strong and effective by providing training and technical assistance, and advocates for laws protecting the civil and human rights of all people with disabilities. Are you a person with a disability in need of legal support? If you have a disability and are experiencing abuse, neglect or discrimination, are experiencing a legal problem or are having difficulty obtaining disability services, call your state’s P&A. ADAP provides legal services to Alabamians with disabilities to protect, promote and expand their rights. Disability Rights Center of Kansas is a public interest legal advocacy agency empowered by federal law to advocate for the civil and legal rights of Kansans with disabilities. Disability Rights Ohio has a mission to advocate for the human, civil and legal rights of people with disabilities in Ohio. No way! Not my ADA! Opponents of the Americans with Disabilities Act want Congress to make it easier for businesses to ignore the law. We need your help to stop them! Tell them to keep their hands off the ADA! Did you know it’s legal to pay people with disabilities less than the minimum wage? It’s time to end wage discrimination! A new bill to help people with disabilities get real jobs for fair pay has been introduced in Congress. Help us gather support! Sign up to receive news, alerts and information about the rights of people with disabilities. You can unsubscribe at any time. Today marks one year from Census Day 2020. NDRN and people across the country are demanding a fair and accurate count. This year the annual conference will occur in Baltimore, MD from June 3rd - 6th.